how cute is Calleigh? (and her sisters Nora and Annie!) she stopped by the donut shop this morning and white she was waiting for her donuts, she popped outside and drew this beautiful chalk art! 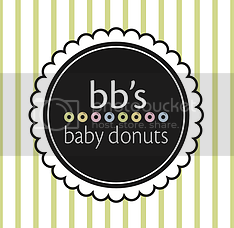 It reads "The best kind of donuts are the baby donuts! ", and we couldn't agree more! You can come by the donut shop and see her creation for yourself, and even make a masterpiece of your own! While you're enjoying the artwork and the weather, grab some donuts for lunch! Thanks again Calleigh, Annie, and Nora!